There are many features in Taleo OBI that can be easily missed even by an advanced user. For the longest time, I had ignored, or just not taken the time to use and learn OBI Bins. Once I started using bins, I realized that I do not always have to write these formulas from scratch and have increased efficiency and accuracy. In this post, I will go through step-by-step instruction on the use and creation of bins. Creating a Bin in OBI essentially establishes a CASE statement based on the criteria specified when using the function. 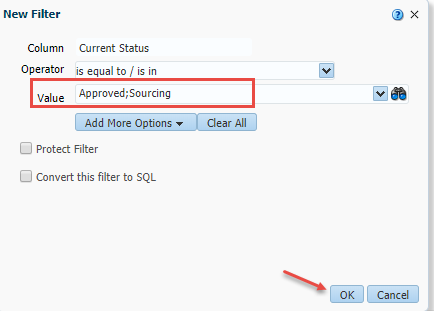 For this example, I am going to use Requisition Current Status in Taleo to call all requisitions in the "Approved" and "Sourcing" statuses "Open"
Start with the column for Requisition Current Status. 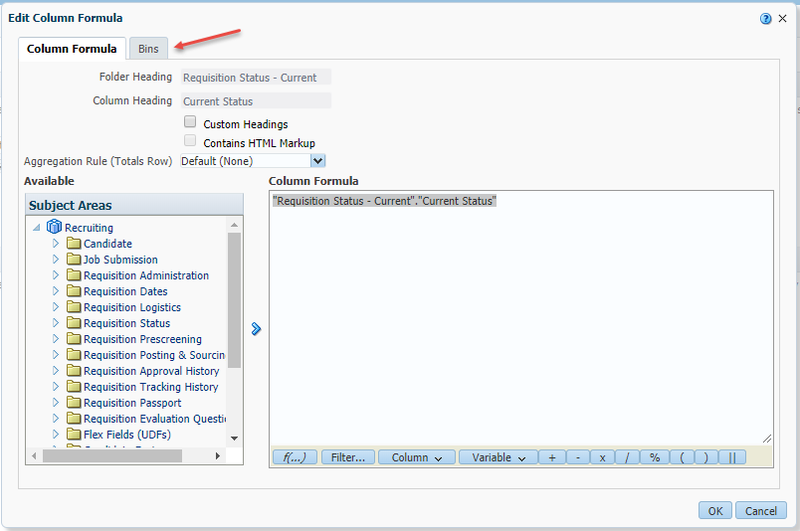 Once the column has been added to the Selected Columns, edit the formula. 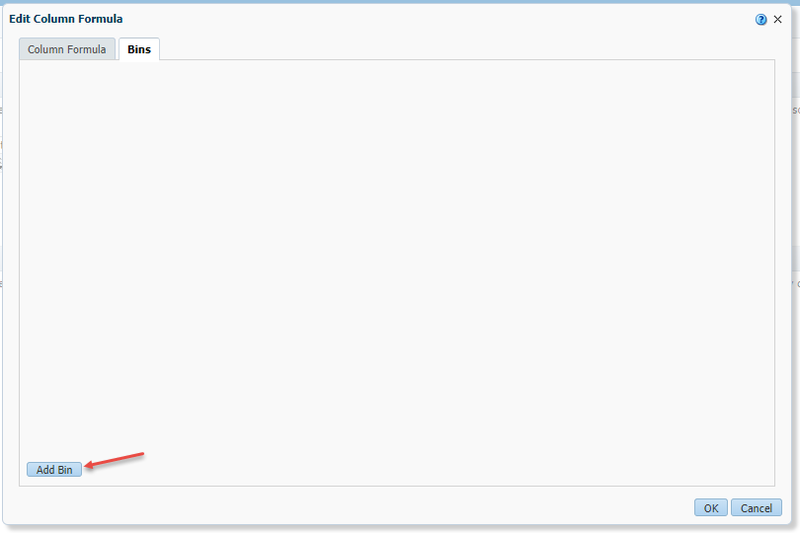 When in the formula editor, click on the “Bins” tab. You will now be presented with a “New Filter” window. 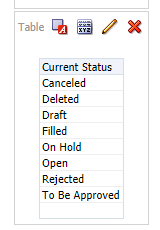 Use the drop arrow to select the statuses of “Approved” and “Sourcing” then click OK.
You will now see a window to name the Bin – type “Open” and click OK.
You are now back in the Bin window. The display will show the Bin(s) that you have created. For this purpose, we are creating one bin for the statuses of “Approved” and “Sourcing” and displaying all other statues. If you would like to group all other statuses into one lump description, check the box “Create a bin for all other values” and give it a name. 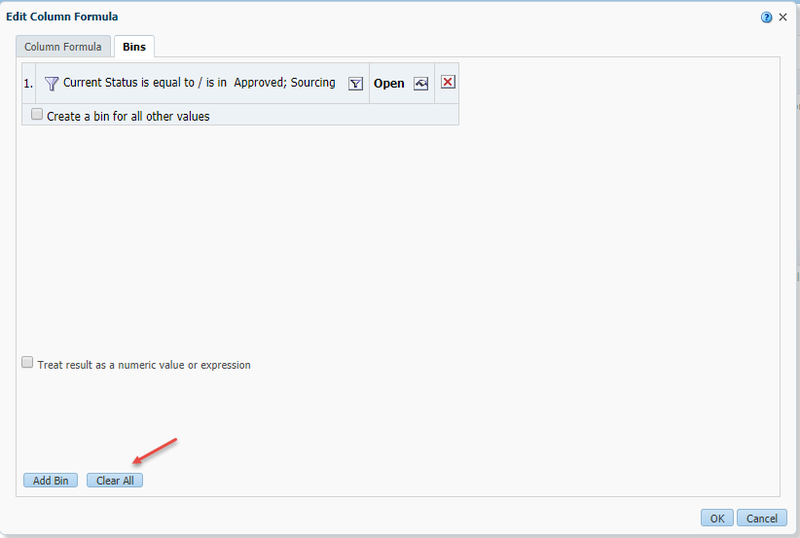 If you are creating Bins with numeric values, check the box for “Treat result as a numeric value or expression”. This will allow you to sort, format, etc. With your Bin created, click OK and you are done. 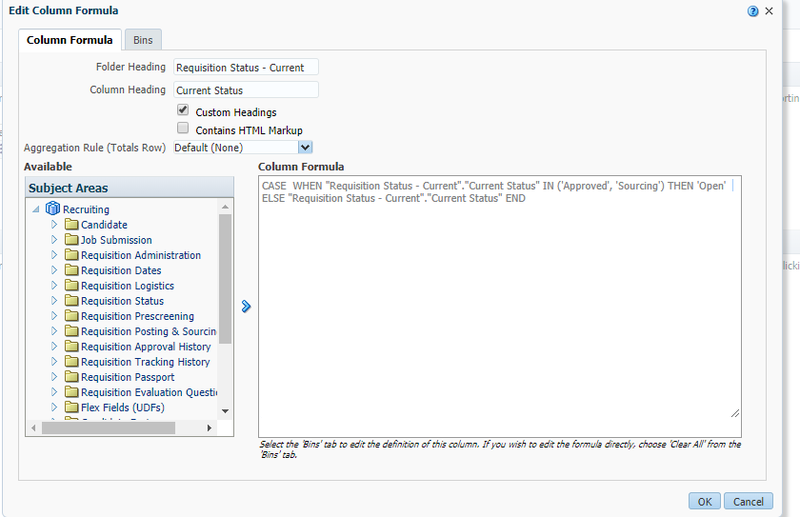 Find your column and click Edit Formula to see the result. At this point, you cannot edit the new formula. 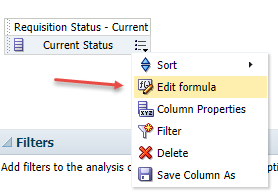 To do this, you will need to click on the “Bins” tab and click Clear All (this can also be used to return to your original column/formula). 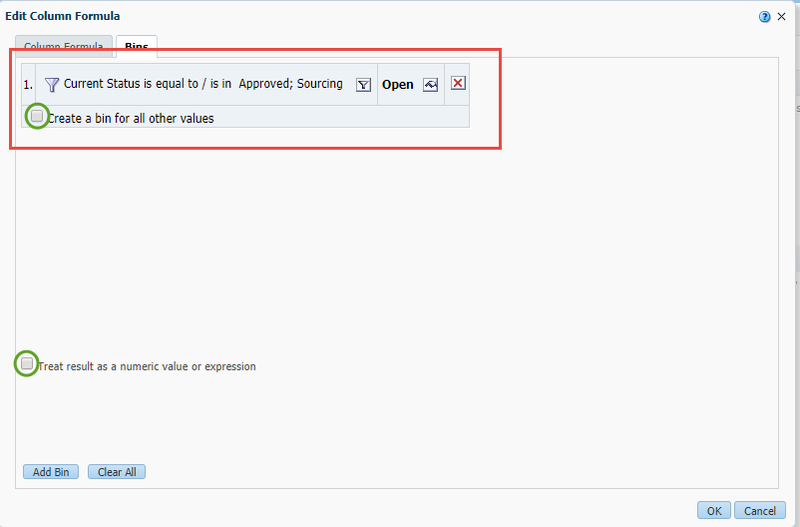 Click Yes and you will be brought back to your formula in an editable format. Keep the formula as-is or make any additional changes desired. If you would like more information on how OBI can work for you, connect with us, we are happy to help! WHAT DOES THE NEW TALEO UX MEAN FOR YOU?